Things are progressing steadily on construction of the new police station. Here’s a look at what’s been happening on the site. 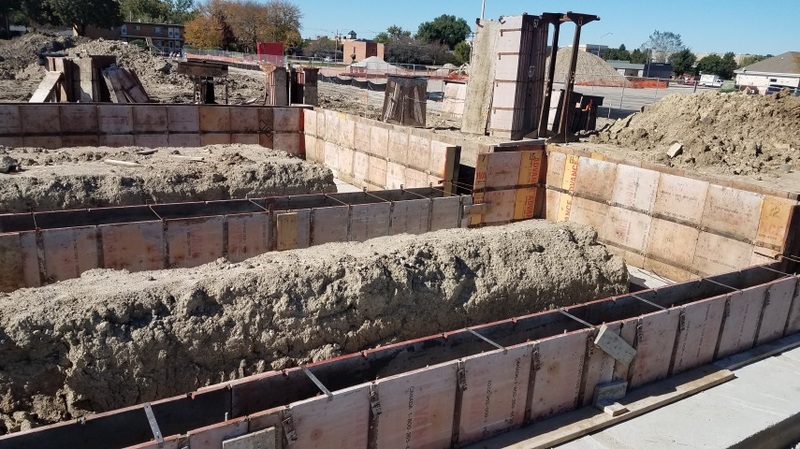 The concrete forms are in place for the new PDs footings and foundations. The underground water detention area is being dug to make way for the pipes. 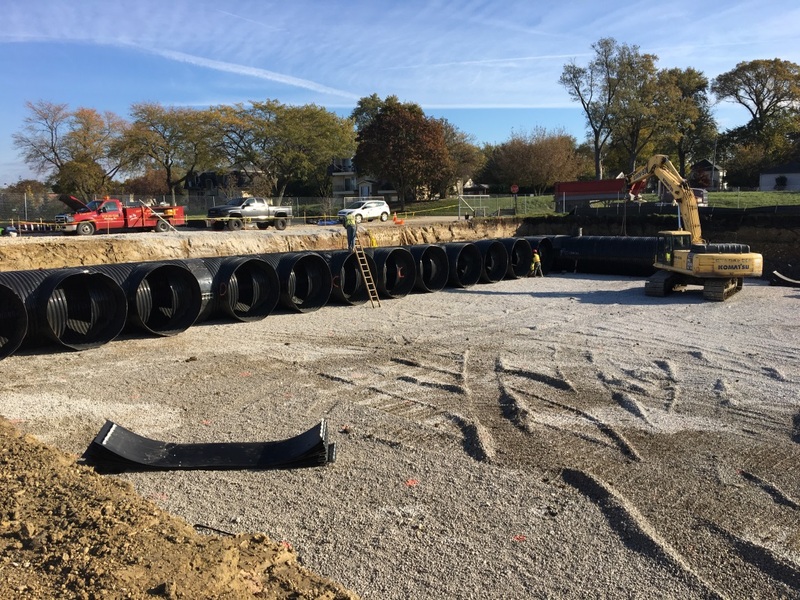 A regional stormwater detention system to mitigate flooding is an important component of the site plan. Those pipes are meant to handle a large volume of stormwater runoff. They are nearly 8-ft in circumference, tall enough for most people to comfortably walk around in. The City broke ground on the new 56,000 sq. ft. facility at 1515 W. Main Street on July 23, 2018, on the site of the former Valley Shopping Center. The new police station will replace the current facility, portions of which are nearly 100 years old. The $24.6 million project is expected to be completed by December 2019 and will support the City’s policing operations for the next 50 years. Click here for details about the project. 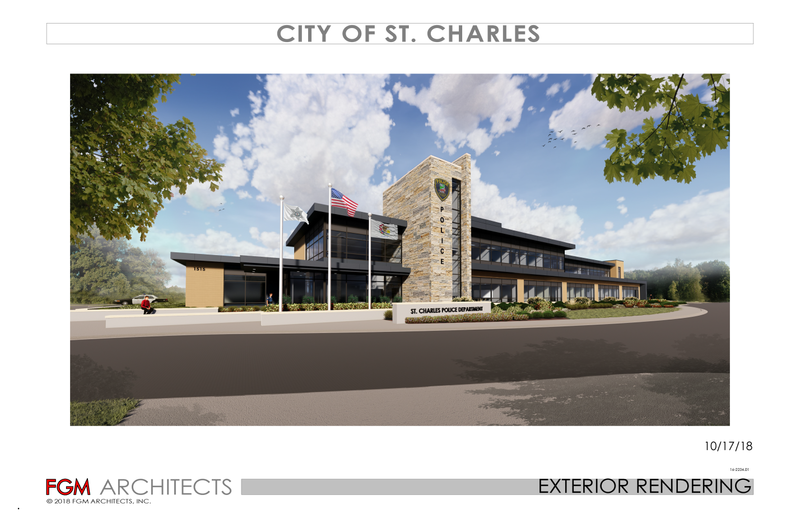 Here’s a rendering of the new police station. Take a virtual tour of the new police station to see what it will look like inside; click here.